This is one of a series of over 25 theater marquees from California, Oregon and Massachusetts. The auditorium of the Fox Theatre has a colorful East Indian Buddhist temple gloss applied over a standard squared off Weeks & Day interior. The entry portion of the main facade takes the form of a polychrome mosaic-like shrine, with smaller lantern-topped towers on either side. Trim with a Near Eastern flavor forms the cornice line for the remainder of the building. 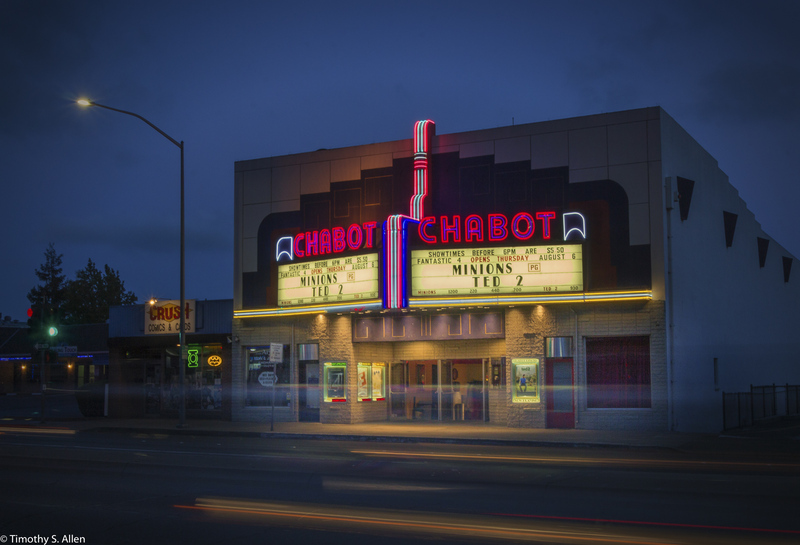 Opened on August 14, 1936 with “China Clipper”, the 1,521-seat Del Mar Theatre has served the college town of Santa Cruz, California for almost 65 years. After years of struggling through dollar nights and intermittent attendance, the Del Mar Theatre was sold in 1999 and closed. 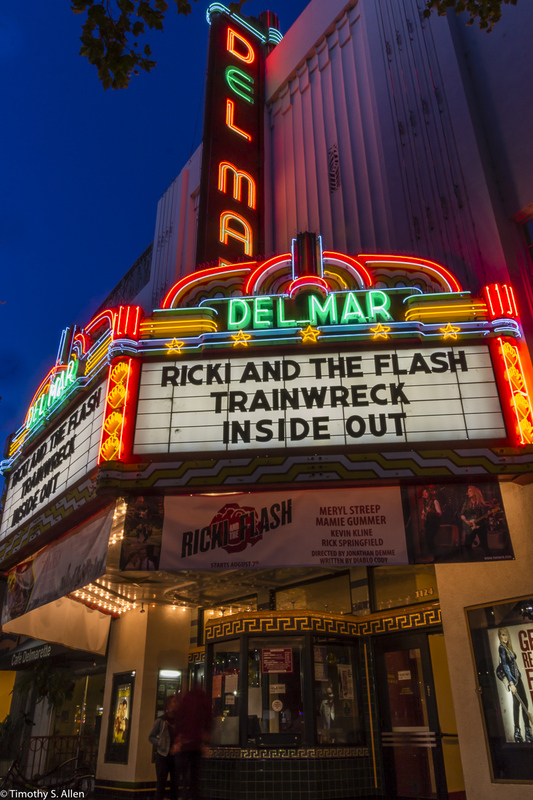 After an extensive renovation and restoration, the Del Mar Theatre reopened in February of 2002.